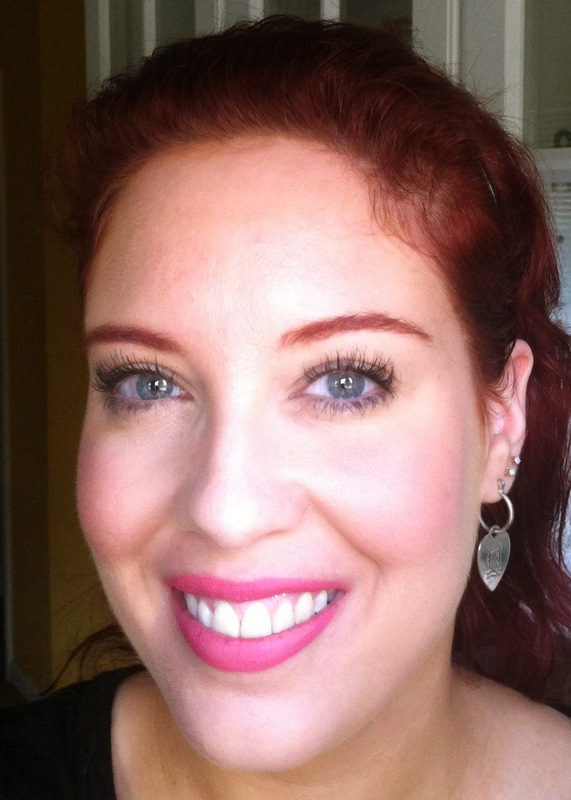 There are times when bare eyes (well, with mascara on the lashes) and matte pink lips feel nice and fresh. 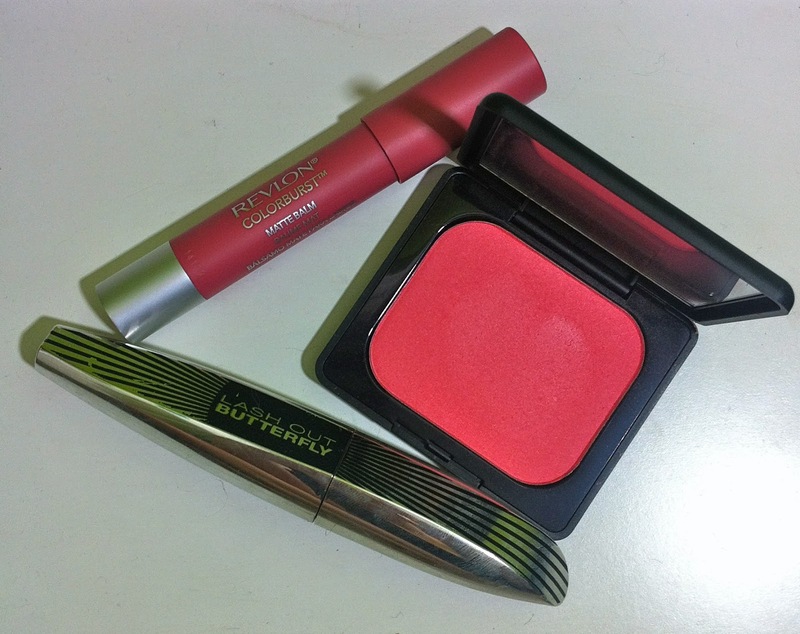 I discovered that Kat Von D's Everlasting Face Shaper Blush in Por Vida looks wonderful with Revlon's Colorburst Matte Balm in Elusive. They are both bright warm pinks that are just variations of the same shade. 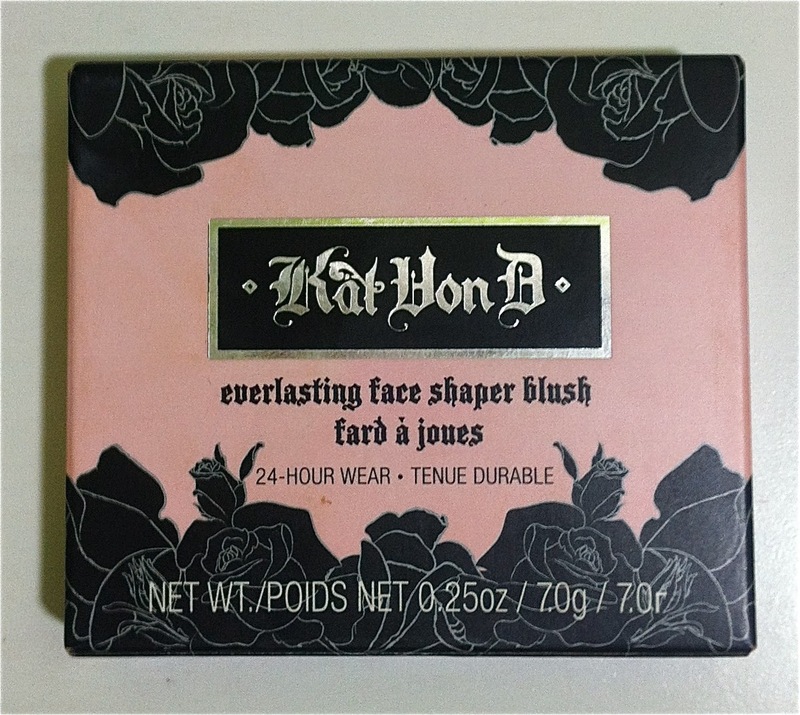 Kat Von D's Everlasting Face Shaper Blush is a very nice formula. Finely milled, pigmented, and long-wearing. 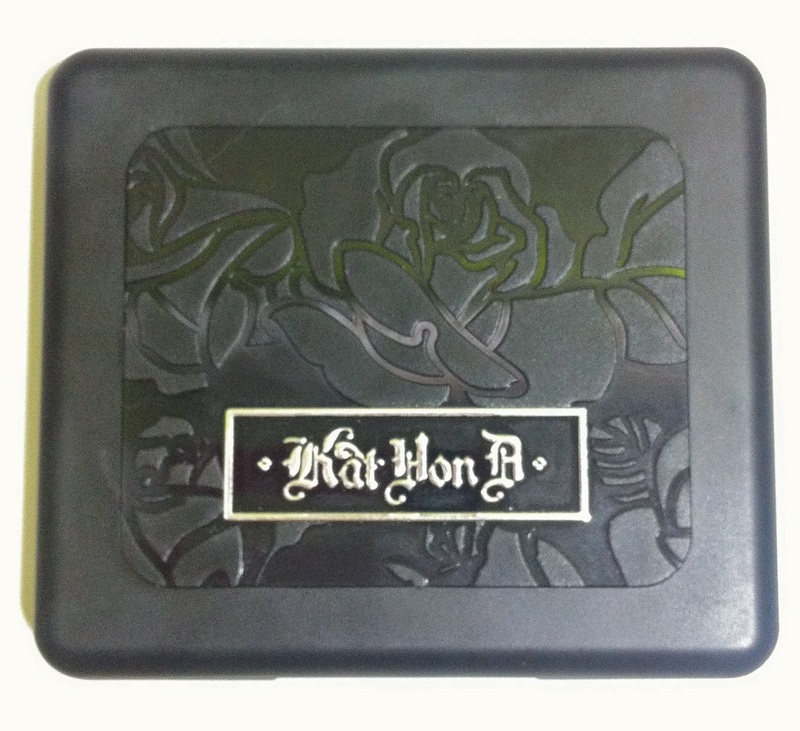 The pan is pretty huge, and the compact is cool looking with the stylized roses and Kat Von D name. 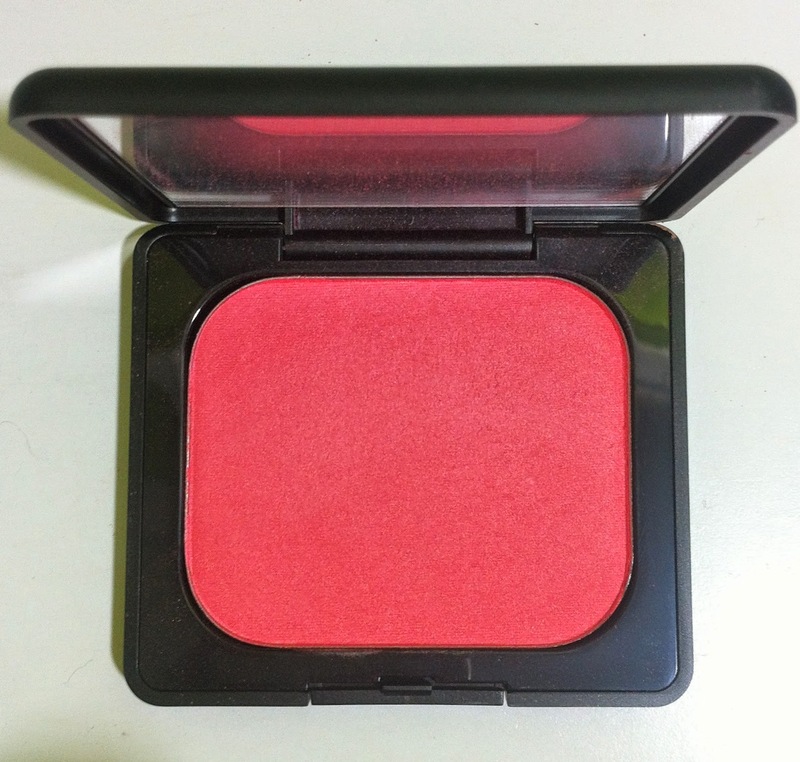 I do wish the name of the blush was shorter. 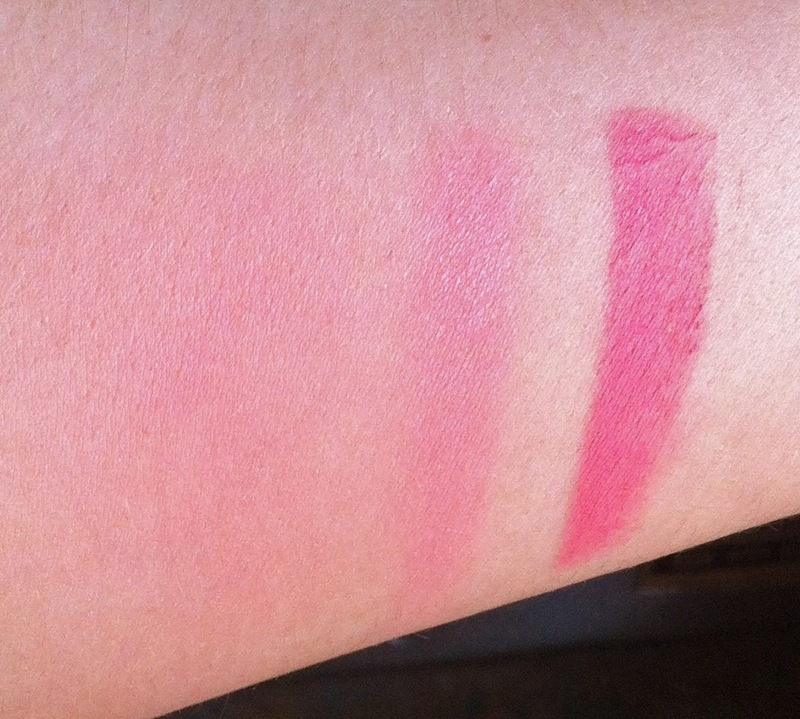 ;) Por Vida is a bright pink with a hint of shimmer that I can hardly detect on the face. This is one of those products I keep in the box because I like the box so much. 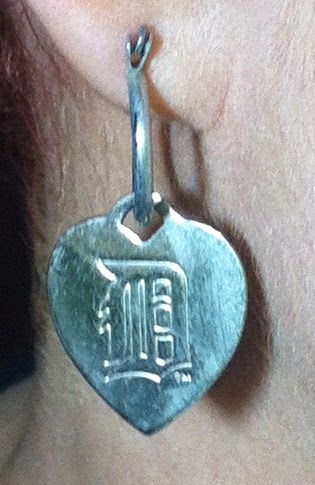 I'm wearing my Detroit Tigers earrings today! Have a wonderful day, and thanks for reading! Love the lip color! I've been wanting to try the Kat Von D blushes. They look lovely! Thank you!! 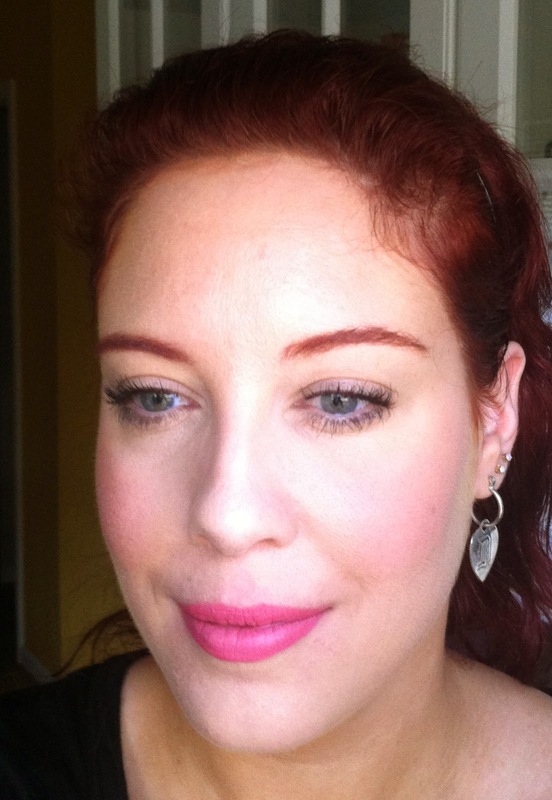 Bright lips are wonderful during the hot days of summer, especially. Thanks, Lupe! I've been impressed by everything from the Kat Von D line. I have yet to try her foundation or concealer, which are both supposed to be amazing. Thanks, Jen! I've really been loving Elusive!